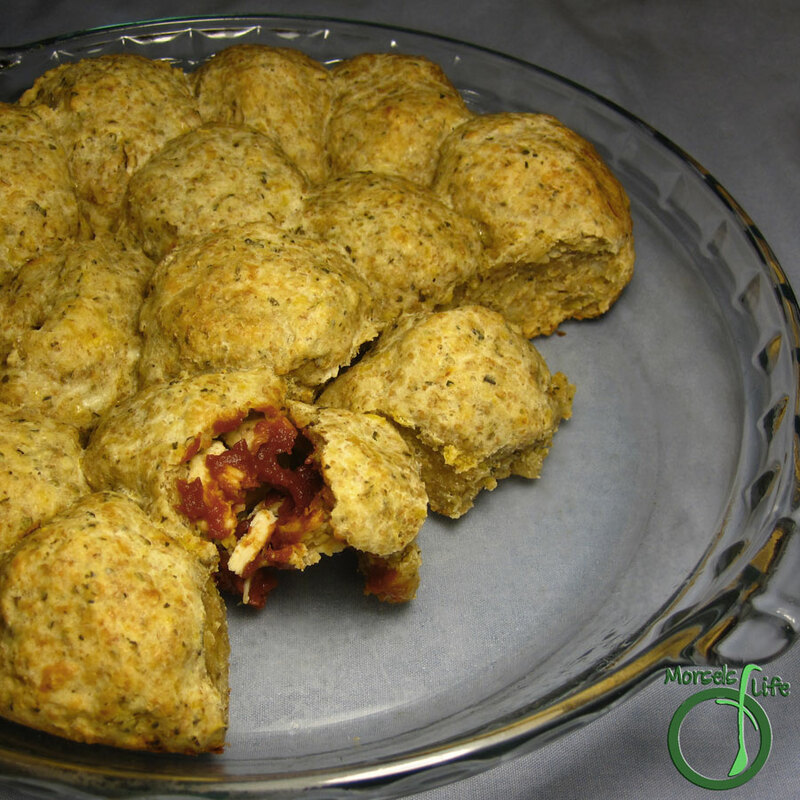 Pizza toppings encased in a flavorful garlic herb dough and formed into little pizza puffs. Looking through my "to cook" list, I noticed several instances of Pizza Puffs. However, when I tried the recipes, I had significant issues with the dough - it was wet goop. I didn't have much time, so I modified the recipe using similar ratios to my Garlic Herb Pizza Crust, and the dough worked much better. Once the dough fiasco got worked out, these pizza puffs are fairly straightforward. All you have to do is pull off a bit of dough, stuff some filling inside, and pinch it together. Bake at 375F until golden brown, and you've got yourself a tasty mealtime treat at home or on the go! These Pizza Puffs can make using up all that leftover turkey quick and simple! They also freeze well if you're wanting a "make ahead" meal, assuming you (unlike me) have freezer space after Thanksgiving! What are some of your favorite "make ahead" meals? Form the Dry Team by mixing flour, baking powder, oregano, basil, and garlic powder. Form the Wet Team by mixing milk, egg, and cheese. Combine the Wet Team and the Dry Team. Place pizza puff on a greased baking dish, and bake at 375F until golden brown and delicious! I love anything pizza. Thank you so much for sharing this at Must Try Monday this week!